Aurora "Firefly" launches from the MTMA launch pad for our first ever night launch! 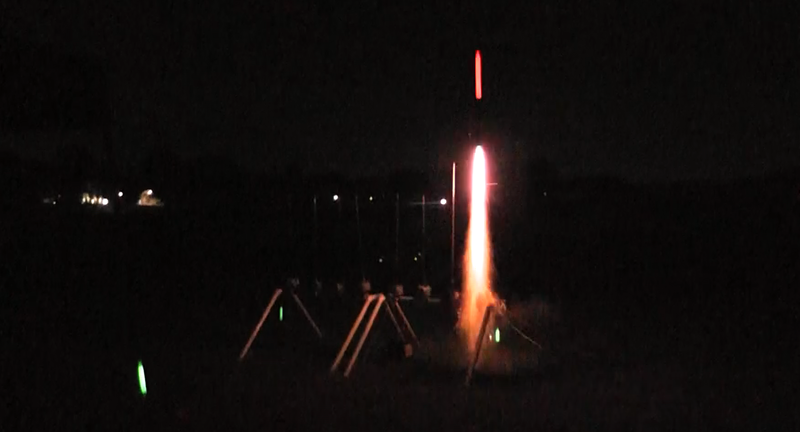 Aurora X5-02 “Firefly” launches from the pad on a D12-5 for our first ever night launch! Firefly was outfitted with a glowing red nose cone system as well as four bright white LED’s that were set up to strobe during the flight.